A big Diwali Bonus for Karnataka's ruling coalition Congress-JDS after it had massive win in 4 out of 5 seats in Karnataka By-polls, Mandya, Ramanagaram and Jamkhandi. BJP wins Shimoga assembly seat. Congress' VS Ugruppa won Bellary parliamentary seat with a margin of 243161 votes. 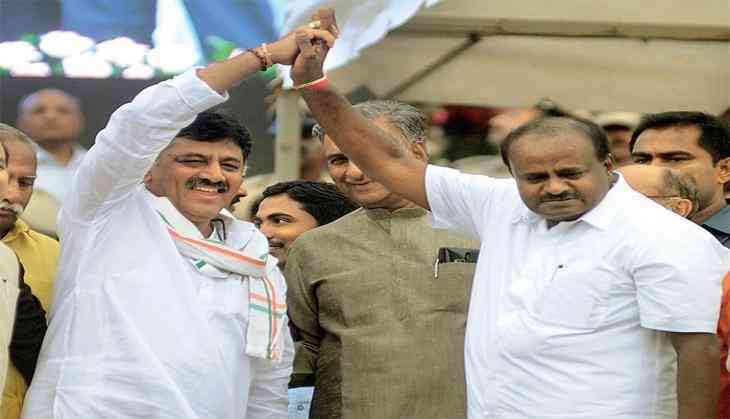 JD(S)' LR Shivaramegowda won Mandya parliamentary seat with a margin of 324943 votes. JDS' Anitha Kumaraswamy won Ramanagaram assembly seat with a margin of 109137 votes and Congress's AS Nyamagouda won Jamkhandi assembly seat by a margin of 39480 votes.